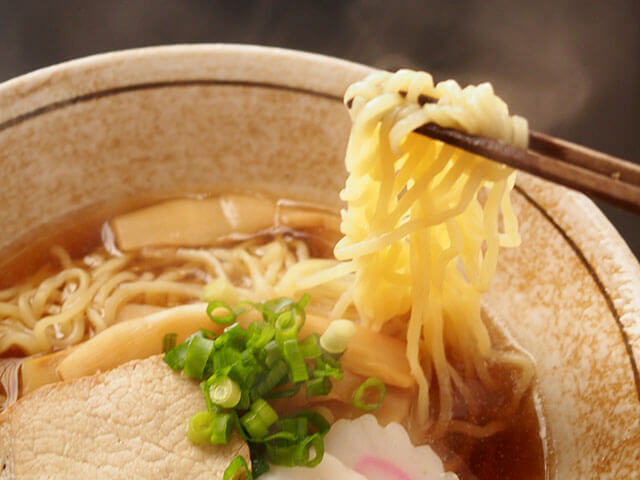 Asahikawa is famous throughout Japan for its delicious shoyu based ramen, and the hearty warm noodles can be found virtually in every corner of Asahikawa. The broth of Asahikawa ramen has a reputation for being quite oily – often a thin layer sits on top of the soup, whilst another trademark of the local ramen is the generally thin, firm, and wavy noodles. Asahikawa ramen is usually topped with the stock standard green onions, bamboo shoots, pork, and of course the all-important soft boiled egg. 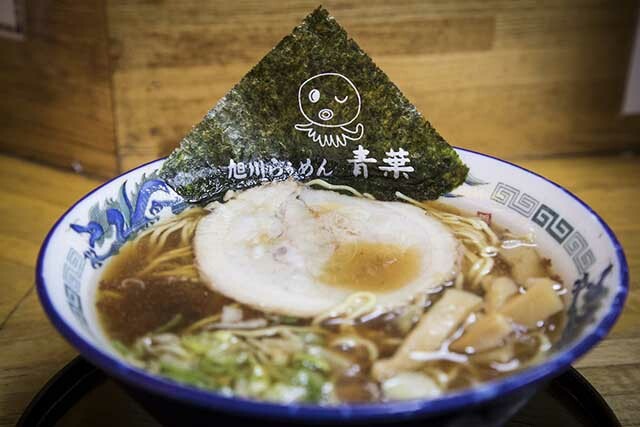 Considered as one of the three major ramen varieties of Hokkaido, Asahikawa ramen combines a seafood based soup with pork and chicken bone meat broth, and is then flavoured with soy sauce, creating a savoury base which accentuates the characteristically thin curly noodles. The oily nature of the broth comes from the layer of lard which is usually added to form a thin layer of oily insulation on the top of the soup in an attempt to combat Hokkaido’s naturally cold climate. The lard acts as an insulator to keep the cold outside from cooling the delicious ramen too quickly. Asahikawa even has its own Ramen Village, located about five kilometres northeast of Asahikawa Station on the outskirts of the city, which includes small branch stores of eight famous ramen restaurants from Asahikawa. The ramen village also includes a ramen gift shop and even a small ramen shrine. 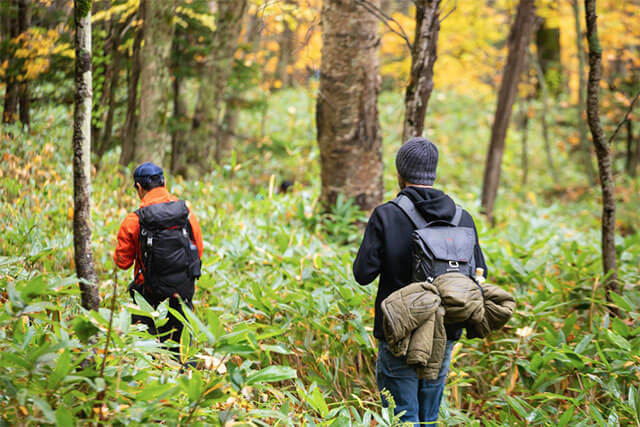 Visitors from across Japan come to the Asahikawa Ramen Village for the unique opportunity of experiencing the best variety of ramen specialties Asahikawa has to offer, in one super convenient location. Due to the sheer variety available, it is not an uncommon sight to see customers with more than one bowl in front of them as they mix, match, and compare the unique flavours on offer. Because of its popularity, the ramen village can get very crowded during peak times so try to get in early to avoid the dinner time queues. The eight ramen shops of the ramen village are Santoka, Ishida, Saijo, Koubo Kato Ramen, Ramen Aoba, Tenkin, Baikoken, and Ittetsu-an Matsuda. Located a convenient five minute walk from JR Asahikawa Station, Asahikawa Ramen Ouba is known as the birthplace of Asahikawa Ramen. First opening its doors in 1947, it is famous for its double soup blend of mountain food such as pork and chicken, and seafood including dried boiled horse mackerel and dried bonito. The trademark soup recipe has been passed on to three generations for over a half century resulting in a good hearty ramen restaurant locals have come to trust as a go to top quality authentic Asahikawa ramen experience. Unlike the more traditional style of Asahikawa ramen which incorporates a shoyu base, this ramen restaurant incorporates a salt based broth, resulting in a characteristically creamy white broth, subtle in flavour, which feels a bit lighter in taste and volume and is meant to be slurped down to every last drop. Ginger Ramen Mizuno is a popular ramen restaurant near Tokiwa Park and, as the name suggests, is famous for its Ginger Ramen. The long established ramen restaurant has had its doors open since 1967 and provides an atmospheric family friendly vibe.